TESCO MOBILE HAS been sanctioned by the telecoms watchdog for wrongfully charging Irish customers over a seven-month period after the introduction of new EU roaming rules. The mobile phone provider, the fourth-largest in the State, will repay customers who were overcharged after the company was found in breach of the regulations. ComReg found that Tesco Mobile had failed to comply with new EU roaming regulations introduced last June. The new “roam like home” regulations meant that EU residents could use their calls, text and data in other member states as if in their home country. However the regulator determined that Tesco Mobile had overcharged pay-as-you-go and bill pay customers for their roaming services from 15 June, 2017, the date the new rules took effect, until late January this year. The customers had been charged for exceeding their roaming data allowances despite being within their domestic data allowances. In response to ComReg, Tesco Mobile agreed to reimburse customers affected by the overcharging. No further action will be taken against the mobile carrier, although ComReg said it will continue to monitor the company to ensure compliance with roaming regulations. “ComReg has …. taken account of Tesco Mobile’s response and its remedial measures and, subject to the completion of all commitments received, will be taking no further action in respect of this matter,” the regulator said in a statement. 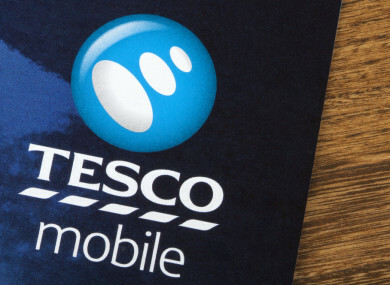 Tesco Mobile is the fourth-largest mobile service provider by subscriber numbers, accounting for 6.5% of the Irish market, behind Vodafone, 3 and Eir. Latest figures for the company show that it had revenues of more than €64 million in 2016 with gross profits of €32.5 million. Tesco Ireland acquired full ownership of the company last year from 3 Ireland, which previously owned a 50% stake. No figures for the deal have been disclosed. Tesco Mobile still has access to 3′s Irish networks until at least 2020. Tesco Mobile has said in the past that will consider raising roaming fees for Irish people using their phones in the UK once the country leaves the European Union. Email “Tesco Mobile got a slap on the wrist for months of overcharging customers on EU roaming”. Feedback on “Tesco Mobile got a slap on the wrist for months of overcharging customers on EU roaming”.